Good fuel for coding and hacking? Bagels, natch. Photo by Dac Chartrand for CDM. Music Hack Day is an event that’s been gaining lots of steam. Packing engineering experimentation into a marathon session of collaborative, improvised work, followed by lots of sharing, the event tends to focus largely on Web services but also includes novel musical instruments and other inventions. The events have grown in depth, quality, and attendance – the New York event I attended was just massive. (See the intro video below.) And now, for the first time, there’s an event in Canada, in the tech-rich Quebec hub of Montreal. Since we’re talking Canada events, the timing is perfect to mention it. I very much hope one of our Montreal-based CDM readers makes it out and tells us how it goes — and since Dac Chartrand of Renoise is out there, it’d be really brilliant to see some Renoise hacks this weekend! Take photos, take videos, make stuff, and document the stuff you’ve made for global fame on CDM! Ahem. Dac tells us a little more about the event, as well as work to do return Hack Day to Boston and London, below. There have been 15 MHD worldwide so far. This is the first in Canada. We’re updating the MHD-MTL page every other day now. Lot’s of action for the organizers to say the least. A good place to start is with the French and English fact sheets on the page; bilingual PDFs trying to represent Montreal, of course. We also have a poster that people can put up to help out, DIY style. The event will be held at Eastern Bloc. (http://easternbloc.ca/index-en.php ) Eastern Bloc is an exhibition and arts production centre dedicated to New Media and interdisciplinary art. The vision at Eastern Bloc is to explore and push the creative boundaries in digital and electronic arts, audio/video installation, multimedia performance and other emerging practices. From Roel and Johan who organized the May 2011 Berlin event: “As a first attempt to open source an event, we (@roelven, @freenerd) put a retrospekt of our learnings on Github, inspired by @arrelid from Spotify. We also shared the docs we used to give to sponsors and locations, this could be of help for you guys along the way. 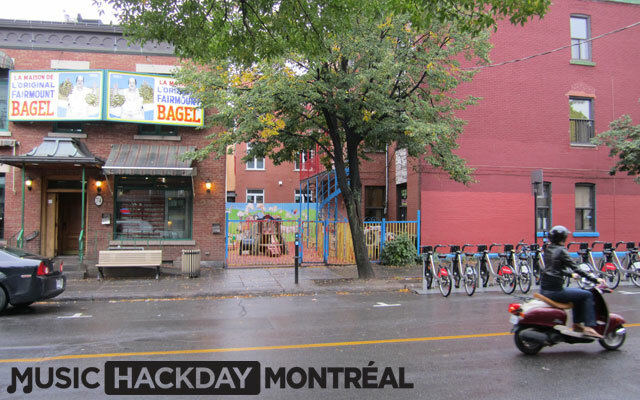 Have a peek here: https://github.com/musichackday/organizing-a-music-hack-day ” The Montreal team intends to commit their experiences to this repository after our event, as well. Good stuff. Seriously, hope someone can make it out there and tell us how it goes. I remain interested in the idea of doing a virtual hack day for CDM readers. Face-to-face is great and irreplaceable, but it could be a chance to bring together people from across geography, too.